There are few things that today's digital media sources love more than to declare that print is dead or dying. This pronouncement is often leveled at the print industry in its entirety, covering everything from physical newspapers to books to business forms and beyond. But these claims have been around for quite a while by this point, and yet print remains incredibly relevant. In fact, in certain areas, the print industry is actually thriving and improving. That's the takeaway from a pair of recent reports covering the print sector. Taken together, this research suggests that commercial printing is still important, and will likely experience ongoing growth moving forward. The first report comes from the U.S. Commerce Department's Bureau of Labor Statistics. As What They Think contributor Dr. Joe Webb highlighted, this study found that U.S. commercial printing industry shipments reached $7.3 billion in August of this year, up 3 percent compared to August of 2014. This marked the sixth straight month in which the industry delivered shipments worth $7 billion or more – a first since 2010. Even more importantly, the source noted that commercial printing shipments have increased for 15 consecutive months. This constitutes the best growth rate the industry has seen in nearly 20 years. Lastly, the report found that commercial printing shipments reached a total value of more than $86 billion over the last 12-month period when adjusted for inflation, according to Webb. All of this goes to show that the commercial printing industry is, if anything, outperforming expectations. And given the 15 consecutive months of growth experienced by this sector, there's no reason to suspect that this performance will deteriorate anytime soon. Another report, this one from Sageworks, further supports that notion. Speaking to Forbes contributor Mary Ellen Biery, Jenna Weaver, an analyst with Sageworks, revealed that the research found steady advances in the commercial print sector. "Sales growth has been fairly constant over the past five years at somewhere between 3 and 5 percent," said Weaver, Biery reported. "In the year ended January 20, sales increased about 4 percent. That shows us this industry is still growing its revenue, even though the popular opinion is that this industry is dying or really struggling. Our data shows that's not the case, at least with these private companies." Weaver went on to add that while the profit margin for the commercial printing industry was only 1.4 percent on average four years ago, it has now reached 5.2 percent, according to Forbes. Weaver called this change "a real positive for the industry." The Sageworks study did not analyze the underlying reasons driving this growth. However, Weaver told Biery that there is anecdotal evidence to suggest that printing companies are improving their profit margins by diversifying their business operations, providing a broader range of services to their clients. These include shipping and packing services, sign production, graphic design and more. 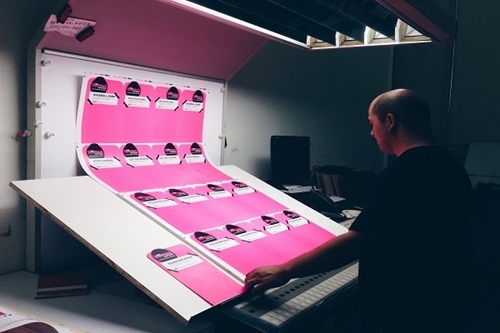 All of these findings are encouraging for businesses in the commercial printing sector. Rather than dying, this industry is clearly doing very well for itself. However, this does not mean that any given firm can assume that success is guaranteed. On the contrary, commercial printers and print distributors need to forge ahead in order to maximize and take advantage of the available opportunities. This is easier said than done, of course, but it is certainly possible. Print company leaders need to consider embracing strategies and pursuing market segments that they may have overlooked in the past, as these will represent some of the best opportunities in this evolving market.